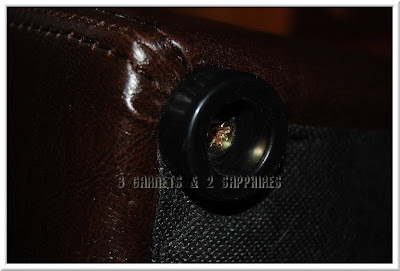 As previously mentioned in another article, we had been struggling with how uncomfortable our old sofa has become. What started out as an L-shaped sectional with a built-in chaise, has not dwindled down to two armless sofas pushed together. It is just too shallow and the only person who is comfortable is the one who is laying down. Purchasing a new sofa set was just not an option for us, so I thought maybe an ottoman would help remedy the situation. 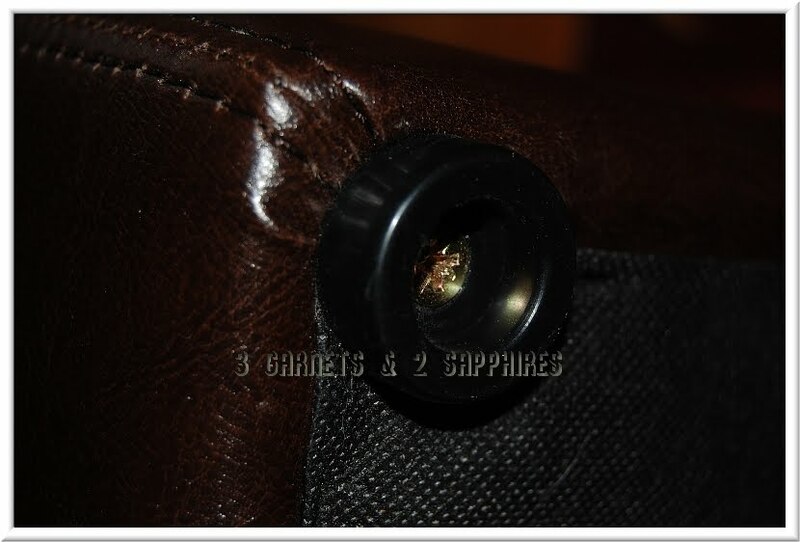 CSN Stores, a Massachusetts-based online home furnishings retailer, was nice enough to send us this Wholesale Interiors Vernaccia Leather Ottoman. 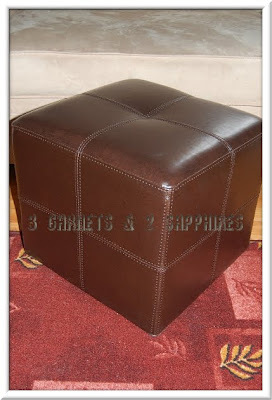 This ottoman is 14" high and is the perfect height for our sofa. It has been in our home for about one month and has held up surprisingly well against three young children and four cats. It has been banged and bumped by toys and still looks good as new. I am extremely happy with the durability of the polished leather. The round plastic feet makes this lightweight ottoman easy to move, even for children. This feature also protects your hardwood floors. 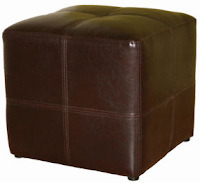 For the price of only $52.50 with free shipping in the U.S., I think this ottoman is a great value. 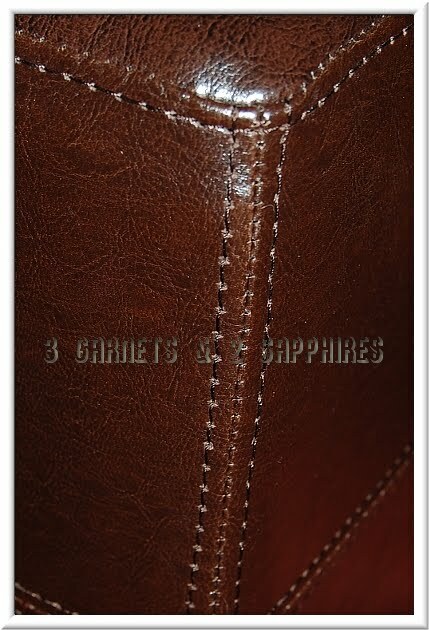 The only drawback is that it only comes in dark brown, which luckily worked with the earth tones in our living room. Thank you to CSN Stores for sending us a sample ottoman free of charge to base this review upon.